David Laughing Crow – What's Strange and Wonderful? Hi there! My name is Rebekah Laughing Crow and this is my website. If you’re looking for the Embody Healing, LLC, website which used to live at this URL you can find it over here: http://www.embody-healing.com. Both websites are currently under construction so please bear with us as we become separate entities. 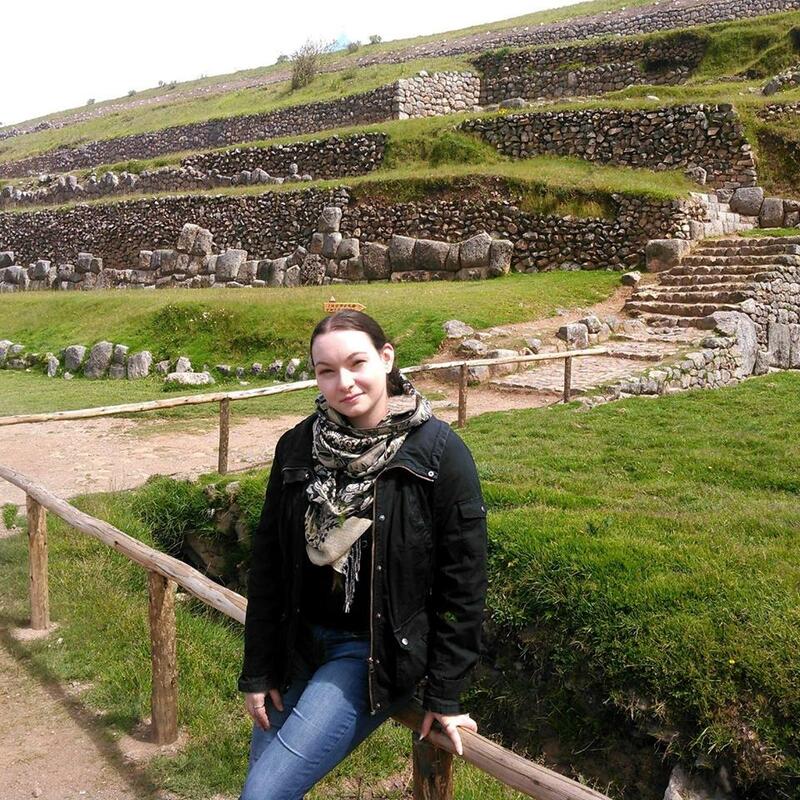 At Saksaywaman, Peru for apprenticeship work in 2015. ASM: This is a page specifically for the American Shamanism Movement. Eventually it will have its own place but for now it lives with us while the movement gets on its feet. Background: An overview of my training, family background, education, and other relevant information. Blog: Well, that’s pretty self-explanatory, ain’t it? Books: This is a list of current publications, links to purchase them, and works in progress. Books are listed with most recent releases first and unavailable titles last. Clergy Services: This is where you can learn about the clergy services I offer. Contact: How to get in touch with me and where else to find me on the web. Education: This is a general list about current educational opportunities and available apprenticeship opportunities. Events: A list of events I’m teaching or attending. Grads: This page is a list of people I have trained who have completed programs. This page is mostly used to verify practitioner’s training. News and Press: This is the couch where all my interviews, articles, and other stuff like that come to crash. It’s basically free content and I hope it touches your heart, mind, and guts. The S Word: This page is information on the appropriate use of the word “shamanism” and why I avoid it’s use in my practice. Again, you are so welcome here. Thanks for dropping in. If you don’t find what you’re looking for, please do check out the Contact page and I’ll assist you however I can. I am a holistic practitioner, not a medical doctor. I am trained in health, not disease. I do not diagnose illness, nor am I legally permitted to treat or diagnose disease. I suggest that, prior to an appointment with me, you have a medical diagnosis from a licensed medical doctor. I provide the materials, health and wellness training, and education necessary to make informed decisions about your health from a complementary and alternative standpoint. At no time do I suggest ending medical treatment of any kind for any diagnosis, though I am happy to work with you and your doctor to create a complementary plan that works for you. I have a history of working alongside medical doctors, chiropractors, hospitals, and mental health professionals, and am open to this type of integrated care plans. Copyright © 2019 Rebekah Gamble. All rights reserved.